My point of reference is my native state of Bihar, which is undergoing some kind of social and political churning before the Lok Sabha elections of 2014. As per the common and traditional wisdom, socio-political analysts of all hues and of all levels seem to be trying to make the sense of it all from the caste configurations of the state. After all, Bihar has the dubious distinction of being known as a ‘caste-conscious’ society where it is presumed that voters vote as per their caste affiliations. But it appears that Bihar, and for that matter India, need political analysts who can look at the broader political discourse that impacts the micro political and electoral strategies. 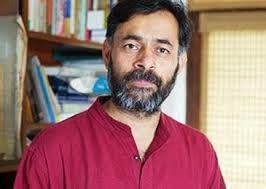 Recently, when the renowned Sociologist Prof. Dipankar Gupta suggested on CNN-IBN that political parties may put candidates keeping caste configurations in mind, the voters ultimately are not able to vote only on the basis of caste. It is so, Prof. Gupta argued, because even if they wish to, since there are generally candidates of different castes in the fray, they have to ultimately vote beyond caste considerations. 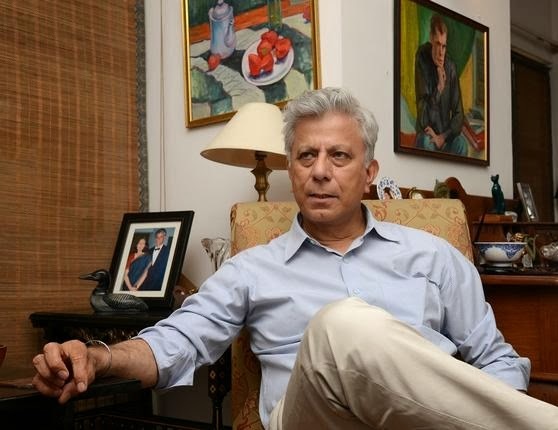 His analysis sort of went off the mind of Rajdeep Sardesai, who simply could not understand such a nuanced sociological interpretation of electoral politics, and he hurriedly dodged it to carry on with his run-of-the-mill discussions on ‘runner-of-the-mill’ poll surveys. I think it is time that younger political analysts look beyond caste to analyse elections, because there are deeper considerations at work which they might be missing only because they have been nurtured on the belief that voters vote only according to their caste/community/religion. It is true that caste is one of the major determinants of voting behaviour in India. In certain situations when voters are extremely polarised, it appears to be to the sole consideration. But the fact is that caste is not quite the sole consideration. It is certainly untrue that defeat and victory for political parties in elections can be explained by a few caste or community groups switching sides from one party to another. The reason many feel that caste is powerful is because we use the phrase "caste based vote bank" to mean many things. A caste vote can also be a vote against a candidate of a voter's own caste in favour of a party considered closer to their caste. So if a person belonging to the Yadav caste in Bihar votes for a Congress party candidate because the candidate is a Yadav himself, it is an example of caste voting. 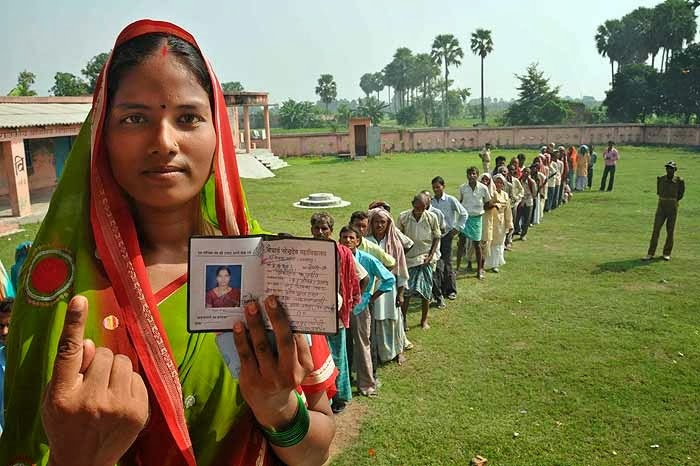 If the same person were to vote for a candidate belonging to the Bhumihar caste put up by the regional Rashtriya Janata Dal (RJD) - which largely represents the Yadav caste - it would be also an example of caste voting. The evidence on caste voting suggests that caste tends to be a major determinant, specially among the large, visible and powerful caste groups. The caste-vote trend is towards voting for a party that is considered to be close to their caste or community group. But the fact remains that most voters in most constituencies in India do not have a simple option of voting along caste lines. Either they have more than one candidate from their own caste or they have none. They simply cannot vote according to their caste. There has to be a consideration other than caste for almost three-quarters of the voters. Caste provides us with good information on the initial affiliations of social groups. But across two elections, the increasing votes for one party or defeat of another is not explained by castes changing sides. When a party goes up in popularity or declines in popularity, it usually wins and loses votes across castes. This should egg the political analysts to ponder that while the political leaders may have their vested interest in keeping the political discourse caste centric without disturbing the fundamental political power structures that exist, the political/electoral analysts, on their part, need to, and have the obligation to, go beyond the same to open up new perspectives on ground realities of voters’ motivations and behaviour. A more thorough examination on this line will bear out that contrary to the belief that the caste/community considerations prevail over Indian electoral process (this is being said about the electoral process and about the democratic process as such), actually speaking, caste/community affiliations and assertions have to bend before the greater electoral dynamics. This should be, however, made clear here that this does not mean that caste-system and caste discrimination do not exist or electoral dynamics are not caste-oriented, rather it may only mean that despite that being the case the electoral process requires a strategy beyond that.